A cartoon strip by Brian McFadden that ran in The New York Times on Sept. 6 depicted a forlorn Statue of Liberty greeting a boatload of immigrants with a sign reading “Huddled Masses No Longer Welcome.” It’s timely, considering a new groundswell of build-a-border-wall, anti-immigrant politicians, and it all raises the question: What does it mean to be an American? Here in the roots music sphere, the great Mexican-American band Los Lobos raises the same question, as well as others. Especially: What would this country be without its deep, meaningful roots in many other nations? Los Lobos’ brilliant new album, Gates of Gold (released Sept. 25 on 429 Records), speaks volumes toward defining how America’s complex roots music culture feeds into the backbone of our national identity. It is possibly their best since 1992’s Kiko, and it reflects our national presumption of exceptionalism. Indeed, few American music groups embody “American exceptionalism” – in the best sense of that fraught term – more than Los Lobos. All its longtime members are second-generation Americans. Without the 14th amendment, enacted in 1865 to guarantee birthright citizenship, there might never have been a Los Lobos. Luckily, the promise of America has granted us their artistic legacy and their centrality to American culture. Formed in 1973, Los Lobos remains amazingly vital and defiantly resourceful in their reimagining of American roots music. “The Wolves” have comprised the same men for decades: frontman Louis Perez; keyboardist Steve Berlin; singer, lead guitarist, and multi-instrumentalist David Hidalgo; singer-songwriter/guitarist Cesar Rosas; and bassist/guitarron player Conrad Lozano. They are too mature and knowing now to produce something like the innocent jubilation that bubbles up from their cover of the traditional “La Bamba” – a teenage rock and roll hit for Richie Valens during the “happy days” of the 1950s. In the early 1980s, trailblazing roots music producer T Bone Burnett, who scouted them in Los Angeles for Slash/Warner Bros. Records, was struck by Los Lobos’ potential. “They were the killingest band in town at that point,” Burnett recounts in Chris Morris’s excellent first-ever critical biography Los Lobos: Dream in Blue, published this year by University of Texas Press. Burnett’s musical viewpoint and sensibility have helped shape much of the best of American music since that time. And Los Lobos dwells at the center of that whorl of roots, fed by a wellspring that has sustained them well, and for much longer than many others. The personal story of the band’s primary lyricist, Perez, illustrates much of this, as do the songs that he’s created with co-songwriter Hidalgo since 1984, when their astonishing debut album, How Will the Wolf Survive?, was surpassed only by Bruce Springsteen’s Born in the U.S.A. and Prince’s Purple Rain for best album in The Village Voice Pazz and Jop Poll. Rolling Stone‘s critics’ poll declared them both band of the year and best new artist. No question, they were – and are – a great rock band with magnificent strains of multi-cultural music genres and masterful songwriting. In the title song from that ’84 debut, Perez cast a scenario of fear and determination in the image of a wolf, which resonated metaphorically and asserted the band’s identity as Mexican-Americans. and tell me please, what we’ll find behind those gates of gold. Over the phone from his home in Los Angeles, Perez told me he doesn’t want to reduce the song to any single interpretation. Yet the notion of the “gates of gold” as signifying the American dream for a Mexican immigrant underlies the song’s genesis. Though it clearly speaks to the immigrant experience, the gates of gold image can be understood in a broader sense, Perez believes, considering any human’s journey through this life, which is universally laden with both potential glory and disaster. The uncertain path of an undocumented immigrant reflects that of every man, woman, and child. Despite the gilded image it presents, the music in the album’s title song is unpretentious. It opens with plaintive but chipper mandolin by Hidalgo, and then a funky shuffle beat unfolds. It’s a road song, and sounds like a person plodding toward destiny in a beat-up car, or riding a burro, or trudging on foot. The music evokes not the proverbial dream, but rather the persistence and perseverance of the human spirit. Maybe the dream is tucked away in a tattered back pocket. The album’s cover, a photograph by Perez himself, shows a humble dirt road curving toward a magnificently radiant sunrise. Inside, another photo on the CD itself – this one by Noe Montes –provides a hazy, atmospheric aerial view of a smog-covered Los Angeles freeway. 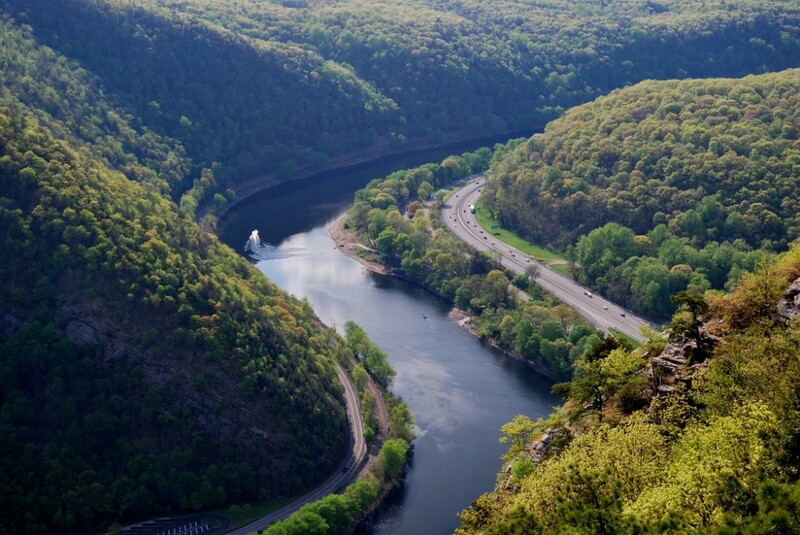 This is the same place that singer-songwriter Guy Clark famously hoped to escape – a road to the future, in another richly metaphorical American song. Perhaps there’s no chart-topping hit like “La Bamba” on Gates of Gold, but the album brims with musical texture, surprise, ingenuity, poetry, and melodic and harmonic intrigue. One might imagine it as a great, heaving American banner: as if Betsy Ross had re-woven the nation’s symbolic fabric with 300 years of history – all the strands of glory, suffering, and tragedy that America has become. Perez notes that a huge actual American expulsion of Mexican immigrants happened right after The Great Depression, the mass deportation of up to 2 million Mexicans, more than half of them American citizens, by some estimates. Perez met Cesar Rosas in middle school, but his songwriting began “when David [Hidalgo] and I were in high school and we were sort of hippies and both interested in the same kinds of music, especially left-of-center things like Ry Cooder’s Into the Purple Valley and Fairport Convention. 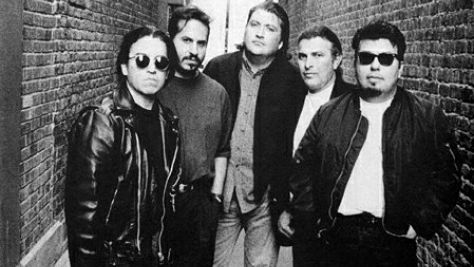 Los Lobos also loved much of the new rock fermenting in the era, including Jimi Hendrix, Cream, and the Grateful Dead, as well as the blues greats. Hidalgo was a prodigy of sorts, adept at guitars, mandolin, fiddle, accordion, and melodica. That helped cement the band’s sound, but it also had to do with growing up in East Los Angeles, which was a rich wellspring of experience to respond to creatively. “Boyle Heights, just east of the L.A. River, before it became primarily Mexican-American, was a Jewish community,” he adds. “I remember the Cantor’s Deli and pickle barrels and the Jewish Community Center. Mexican-American and Jewish communities merged to a certain degree. My uncle Jimmy Santiago married a Jewish woman named Ida Ginsberg. I have a half-Jewish, half-Mexican cousin. There were Russian, Serbian, and Japanese communities. I have Japanese friends. We all co-mingled, like in New York City. “We created a barrio, which is Spanish for ‘neighborhood.’ Mexican restaurants arose, but the process can become a multivalent thing, or a bad thing. Sometimes you can draw a chalk line around yourselves, which can be unfortunate, though you feel comfortable and safe. In the early ’60s, Perez’s mother put him in a Catholic parochial school, partly because the public school system discouraged, even punished, young people for speaking Spanish. As the cultural renaissance of the 1960s began, young Mexican-Americans in East L.A. joined in a huge walkout to protest the way the system was working in schools. The high schools seemed to overlook minority students as college-prep material, Perez says. “They just sent them to shop classes, put them on the track to become laborers. But the white high school kids were college-bound. “Today there are Latino political leaders all over the country,” he adds. “The entire American system has to take a look at who we really are. We are a cross-pollination of many different cultures. The final member in the band’s lineup, Steve Berlin. arrived in 1982, with a Jewish Russian-American experience not unlike the East L.A. Chicanos. Largely self-taught, as a teenager in Philadelphia Berlin played in a band that he says was “fairly advanced for the time.” They never recorded anything, but several of his bandmates later played with Frank Zappa. Berlin landed in Los Angeles with a version of the group called the Soul Survivors. When he encountered Los Lobos, Berlin had been working with Dave Alvin’s Los Angeles-based band the Blasters – which introduced Los Lobos to L.A.’s punk scene. Berlin felt as though he was being underutilized by the Blasters, and his presence in Los Lobos flowed more easily. As the group’s only non-Hispanic member, Berlin feels profound kinship with his Chicano bandmates and the stories underlying Perez’s numerous songs about the culture. Berlin’s Russian father was the last of 11 children and the first born in America. The elder Berlin could have been derisively deemed an “anchor baby” by politicians like Jeb Bush and Donald Trump; his son Steven grew up in the middle of America’s McCarthy-era Cold War versus Russia. “We grew up in a typical second-generation American household, trying to do [the] best we could,” Berlin says. “We saw our parents struggle and they figured out how to make our lives way better than theirs were. [They emphasized] the idea of sticking with it. 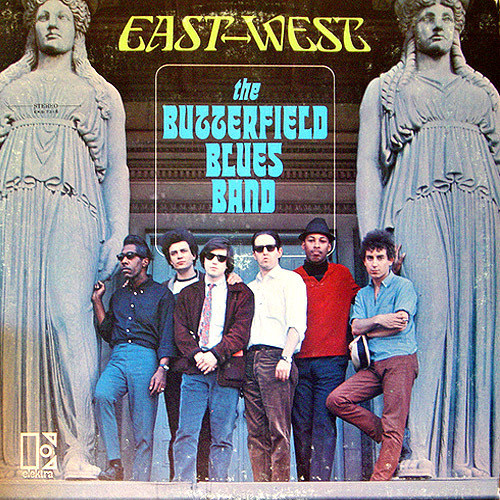 To the band’s credit, when Berlin joined, it was a nearly seamless fit for the Jewish musician from Philly. Berlin’s saxophone played with Hidalgo’s accordion in a way that has become a signature Los Lobos sound, like a vocal trait that’s almost genetic. “It was always kind of amazing to me, even in the early days,” he recalls. “There was no hazing process or anything. We spoke a musical language that surpassed whatever cultural differences [existed]. They went to school together, so my experience was different. But they always made me feel very at home. And, 40 years later, Los Lobos is well-loved both in Americana music and the Latin-American music community. They own four Grammy Awards and have recorded and performed with many major artists and at numerous major festivals. This year, the Americana Music Association presented them with a Lifetime Achievement Award for performance. Perhaps a more palpable sign of their influence is the Los Lobos Cinco de Mayo Festival, begun in May 2012, at the Greek Theater in Los Angeles, where the band played some of its first gigs. Groups performing with Los Lobos at the inaugural festival included Los Santos Cecelia, a young East L.A. group that follows Los Lobos’ original neo-folkloric model and won a Grammy award in 2014 for their first album, Trienta Dias. Also present was Mariachi El Bronx, which blends traditional mariachi and punk rock and has included drummer David Hidalgo Jr. who plays on Gates of Gold (however Enrique “Bugs” Gonzalez remains the band’s touring drummer). Other participants have included roots-gospel-rock steel guitarist Robert Randolph and Los Super Seven, a Tex-Mex super group that included Lobos among their personnel. A third Cinco de Mayo event occurred in 2014 with popular Los Angeles Chicano rock band Ozomatli. One younger group that Los Lobos has profoundly influenced is Quetzal, which won a Grammy for their magnificent 2012 album Imaginaries, produced by Berlin. “Four homies from the neighborhood sticking it out for over 40 years has been inspiring to witness,” says the group’s founder, Quetzal Flores. His group, which radiates a strong feminist ethos, also thinks of themselves as a kind of family. Last October, Los Lobos chose to perform their 1988 album, the all-Spanish La Pistola y El Corazon, in its entirety during a concert in Milwaukee’s Sharon Lynne Wilson Center of the Arts. The concert brimmed with joy, passion, and darker emotions. One sensed these compadres reaching deep inside themselves, giving it all up to the audience, even if many didn’t comprehend the Spanish lyrics. 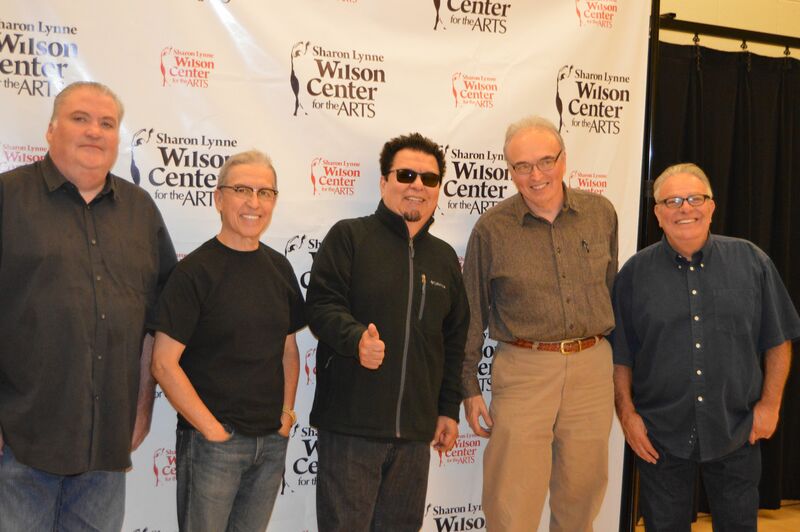 I got this photo op with Los Lobos before their “La Pistola y El Corazon” concert at the Sharon Lynne Wilson Center last October (L-R, David Hidalgo, Louie Perez, Cesar Rosas, Kevin Lynch, and Conrad Lozano. Not pictured: Steve Berlin). Photo courtesy of the Sharon Lynne Wilson Center for the Arts. 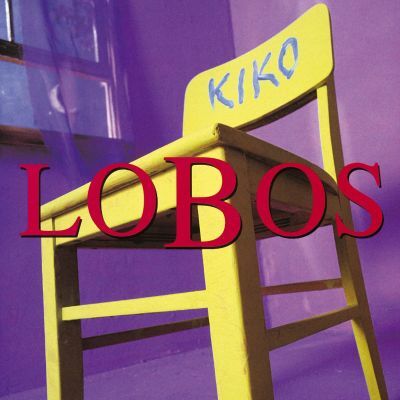 Guided by a larger light, Los Lobos’ winding road led to an artistic peak, the 1992 album Kiko. The landmark album was partly a reaction to the laborious and unsatisfying experience of creating the previous album, The Neighborhood. Despite guest spots from such notables as John Hiatt and Levon Helm, The Neighborhood suffered from over-production. “That record was a way to open up a channel for pure expression. I didn’t have to feel oppressed by the technology. We went in to use the studio as a musical instrument. Rather than laying down tracks, we tried using the studio as its own medium. They decided to tackle Gates of Gold, their first studio album since Tin Can Trust in 2010, with a similar philosophy. “We were getting closer to the recording date and David called me and said, do you have anything yet? And I said, ‘I was going to ask you the same thing,’” Perez laughs. With pressure mounting, these old pros knew how to respond: First, they huddled in a rented writing room behind a nearby bookstore. Perez and Hidalgo began creating songs. They set some aside unfinished, while others came quicker, right in the studio with the blinking recording machines, bandmates, studio musicians, engineer, and assistants hovering. They did this in six different studio locations across North America, in California, Texas, Nashville, and Ontario. The hippest-sounding tune on Gates of Gold is “When We Were Free,” with its slippery, jazzy backbeat provided by guest percussionist Marcos Reyes and guest drummer David Hidalgo Jr., who plays throughout the recording. Berlin’s sax blows sultry and sweet amid the song’s deliciously complex rhythm. Another song with ingenious sonic magic reminiscent of Kiko is “There I Go,” driven by an intriguing electronic smear sound that dances around Hidalgo’s vocals – something that Berlin conjured up from his electronic keyboards. Meanwhile, roots-genre maestro Cesar Rosas peppers the album with two Spanish-sung romances and two heart-bloodied blues, “I Believed You So” and “Mean Mis-Treater Boogie Blues,” which rides a ZZ Top-style boogie groove, like a man driving his lovelorn frustrations into the night. A Perez-Hidalgo mini-epic, “Song of the Sun” bears a mournful melody and imagines a dystopia one might fear in the nightmare of the realpolitik-run-amok, terrorist extremism, and climate change toward which the globe seems tilting. Perez decided to grapple with the daunting perspective by employing a literary device – a creation myth. The song redeems its bleakness with a beautiful closing water image. And we should be thankful, because these wolf survivors can see the fire next time, right through the rain. They can see what humanity might face, what it might lose, if it doesn’t change its ways with the world. The dream-like gates of gold also flicker with flames. Steve Berlin minces no words. “You look at Donald Trump and Scott Walker and most everybody else in the Republican Party, and what they’re saying is both politically impossible and physically impossible,” Berlin says. “To deport 11 million people and to get the Mexican government to build a wall … . Obviously they’re trying to appeal to the least-informed people in this country, and they think that’s a ticket to success. The long artistic pilgrimage of Los Lobos has demonstrated that they’re not in it for the money, especially with the decisions made after “La Bamba.” The stunning new recording reminds us they’ve succeeded on their own terms, taking their place among the greatest of a true creative class that believes in the power of la familia in the largest sense, that which “takes a village,” as one more reflective American presidential candidate once said, quoting an African adage. This article was originally commissioned and published by NoDepression.com. Thanks to ND editor Kim Reuhl, Los Lobos, Kurt Nishimura, Chris Morris and The Sharon Lynne Wilson Center for the Arts.